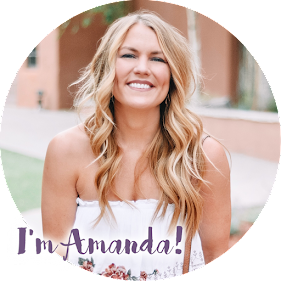 I can't believe this is my 10th Best of OKC blog post! It's been such a fun series to put together. With only two months left in the year, are there any specific OKC roundups you want me to do? I was thinking of doing best of OKC holiday activities next.........yay! But I'm open to suggestions for the other post! Today, though, I want to talk about OKC's P-I-Z-Z-A (gimme pizza). If you're singing the Mary Kate and Ashley pizza party song now, we can be friends. 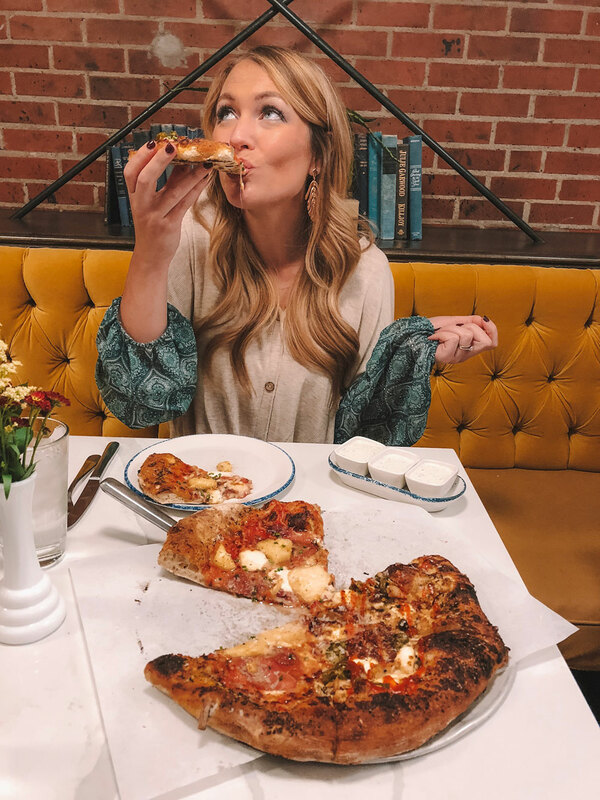 In high school and even into college I could have cared less about pizza....it was one of those cheat meals that was super easy for me to pass on or say no to. A switch has flipped in me, though, and now I legit CRAVE pizza all the dang time. I'm a bit of a food snob, both with pizza and coffee and Mexican a lot of other foods hahaha. I just have high standards, OK?! What I'm saying is, know that these pizza picks were not chosen lightly. 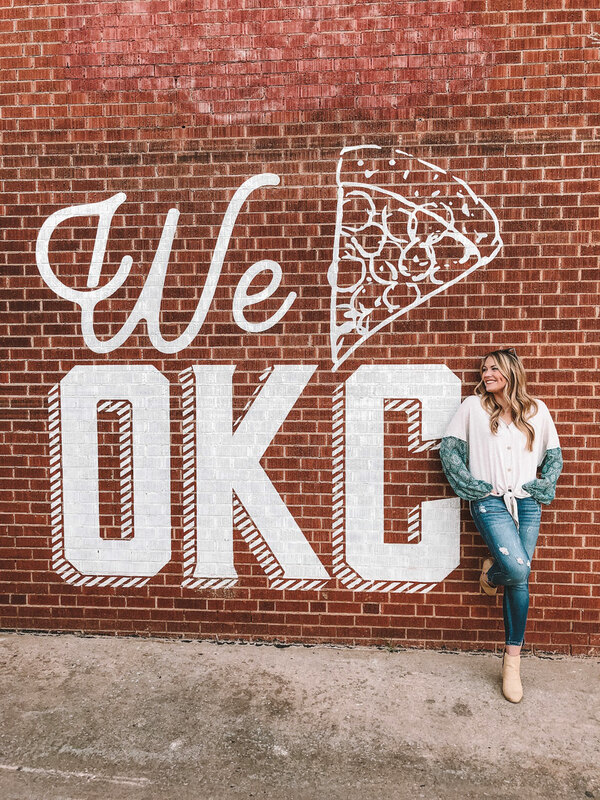 If you've been keeping up throughout the Best of OKC series, you may notice that lot of these places have been named time and time again.... that's because they are truly delicious and my favorite spots in town! Hall's started as a wood fired pizza food truck and eventually opened up the cutest brick and mortar restaurant in Midtown. They have an amazing rooftop, the cutest indoor mid-mod seating and in my opinion the absolute best pizza in town. Their brunch is phenomenal and their baked goods don't disappoint either. ALSO, please note that they have a huge jar of hot tamales in lieu of peppermints......the best! I LIVE for their "Beat the Heat" pizza with chicken, jalapeño and sriracha with a huge serving of their secret sauce! It's like an herby ranch and is what dreams are made of. The Sunday Lunch made with brisket and potatoes isn't a bad option, either. NOM! Their bacon jam and pimento appetizer will also make your taste buds dance. What I love about Hall's most, though, is that their pizza has a classic crust but the toppings make it a step above the rest.....it fulfills my cheap pizza craving but it goes above and beyond that! Pizzeria Gusto has a great menu (and brunch! ), the cutest secret garden type of patio and a wonderful drink, sandwich and app menu. Their pizza is always good and as some unique toppings like truffle oil, balsamic reduction and more. Be sure to try their pizza specials, they are always my favorite! It is a great little date night spot and feels juuuuust fancy enough to be more than just a pizza shop. Forever a popular place for friend dates and group dinners! They have something for everyone: a great beer menu, a wine bar and the yummiest chocolate chip cookie pan pie for dessert! It has a bit of a nicer vibe to it but it's not over the top fancy. I highly recommend the Numbers pizza with pepperoni, sausage, prosciutto and fried jalapeños but honestly you can't go wrong with any pizza on the menu. Located in the Plaza District, Empire Slice is a bit more casual and laid back but just as delicious! They serve pizza by the slice and gigantic whole pizzas. Their secret sauce is pretty good, too, and their garlic knots, ohhhhhh their garlic knots. YUM! The Wedge is probably the most unique pizza out of all on this list. Their dishes are a bit more high-end....prosciutto wrapped pears, vegan options, port wine sun-dried tomato sauce, spiced walnuts and truffled mushrooms.....you get my drift. It is super delicious, though! They have an amazing looking breakfast and brunch menu that I've always wanted to check out and most of their ingredients come from local farms and their own gardens. There are a few other places that I couldn't NOT mention. These pizza places are more "normal pizza" but are still a big step up from Dominos. 1. Hideaway - an Oklahoma tradition, more or less! The first Hideaway is located in Stillwater and it has grown across the state to OKC, Tulsa and beyond. Their Big Country pizza will forever be a favorite....it is basically like a meat lovers but better! 2. Wheelhouse Pizza Kitchen - the new kids on the block in OKC! I was SO impressed with their pizzas. They are MASSIVE and so well made. The toppings are normal but they are paired together very well. I think about their Skinny Samoan pineapple jalapeño pizza often! Their restaurant is pretty laid back so it would be a great place for families with kids. 3. Sauced on Paseo - Sauced is located in the Plaza and has more of a dive bar feel. There will be dogs and there will be smoking, but their patio holds a special place in my heart and their pizza does, too! It really isn't anything out of this world, it's just good solid pizza. You can buy it by the slice (a HUGE slice, mind you) along with a huge menu of local beers. There you go! C and I just had pizza date night at Hall's on Saturday but now I'm already craving it again! What is your go to pizza topping? I'll forever and always be a Hawaiian fan.... Vote YES for pineapple! And if you didn't notice, I am partial to jalapeños.